Celebrity Cruises has announced the order of another Edge-class cruise ship from Chantiers de l’Atlantique and is set to be delivered in the fall of 2024. Celebrity Cruises will continue to expand by ordering a fifth Edge-class cruise ship from the popular French shipbuilder Chantiers de l’Atlantique. Both parties have entered into an agreement for the new-build and the details will still need to be completed. 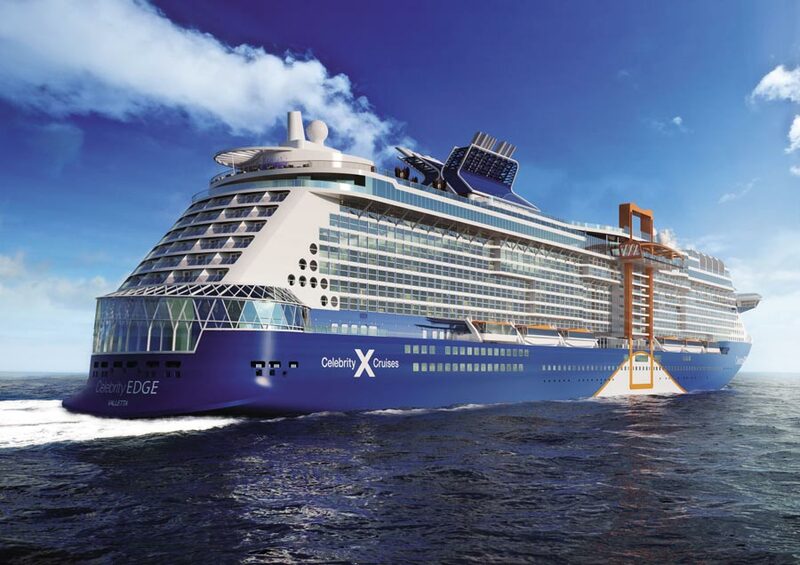 The Edge-class vessel will be delivered to the cruise line in the fall of 2024. it will be identical to the Celebrity Edge which joined the fleet in 2018 and Celebrity Apex which is currently under construction. However, with new ships, we always expect something new to be featured so do keep checking Cruise hive for all the latest on that front. The cruise line which is owned by Royal Caribbean will reveal more specific details about the ship closer to the time. Until then we have three Edge-class ships to look forward to and they are coming in 2020, 2021 and 2022.